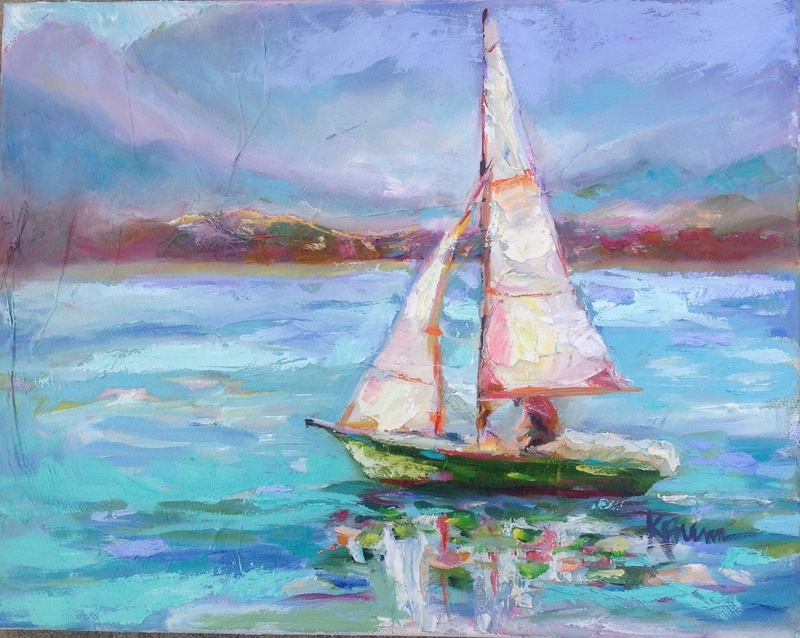 I carved more painting time in today, this sailboat is a figment of my imagination! OOOOOOO. I like this….very calming!